Do You Have The $400 To Cover An Emergency Expense? According to a May 25, 2016 Washington Post article, 46% of Americans said they did not have enough cash to cover a $400 emergency expense. Instead, they would have to put it on a credit card and pay it off over time, borrow from friends or family, or simply not cover it at all. Really? And here in the expensive world of Southern Californian living, how long could you keep your financial house afloat if your earned income stopped? A month? Two? Three tops? No wonder the American Council for Disability Awareness reports that half of all home foreclosures are the result of a disability to the homeowner. If your ability to generate an income came to a sudden halt, what do you have that would continue to generate income for you? If your answer is “not much,” you are a prime candidate for considering long-term disability insurance. Creating an income stream you can count on to keep what you have been working so hard for … “Imagine That™”! Disability Won’t Happen to Me … or Will It? Many people have their heads in the sand when it comes to the possibility of suffering a disability during their working career. The Social Security Administration estimates more than 25% of today’s 20-year-olds will suffer some form of income-interrupting disability before they reach age 67. According to the Council for Disability Awareness, the average length of disability is nearly seven years (82 months). The 2014 Disability Awareness Study by the Council for Disability Awareness indicates gender plays a role in not having disability coverage. Women’s top reason for not having coverage was they could not afford it, while men’s top reason was they had not even considered the issue. Hopefully, this article will explain why disability coverage is so critically important and how it can be affordable. What Benefits Will I Receive if I Become Disabled? Disability insurance will pay a portion of your income if you are unable to work due to accident, injury or illness. The contract will typically pay 50-60% (and some even provide up to 80%) of your income while you remain unable to work. Many contracts will pay out benefits until you reach age 65 (and some even up to age 75). There is a designated waiting period before the benefits will begin to be paid—as short as three to six months, all the way up to two years. 95% of our clients choose a 90-day waiting period (that is what I use for my own contract), but it depends upon your own unique set of facts. 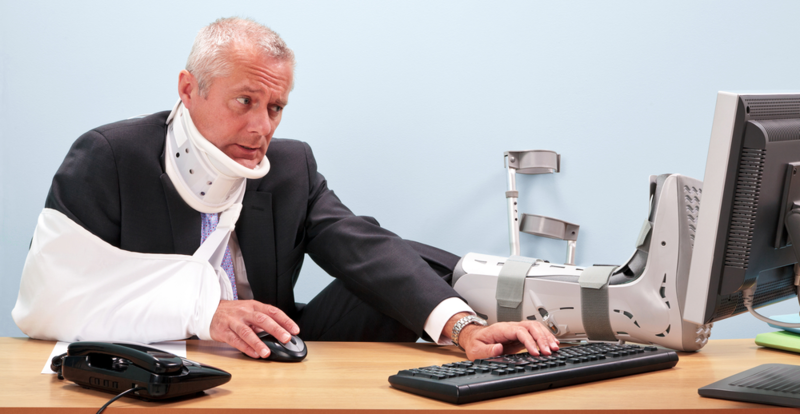 People mistakenly think accidents are the major cause of disability claims. The statistics rebut this and indicate that disability is usually caused by a gradual decline in health or by a degenerative condition. Only 7.7% of all existing claims for long-term disability claims were caused by what we fear most—accidents. A significant mistake we often see with clients is that, even if they have obtained disability insurance, they have never reviewed the amount of coverage. The amount of the coverage, which may have covered your salary when you initially obtained the disability contract, may now be too small. You may also need additional coverage if your monthly expenses have increased since you obtained the coverage. Even if you have group coverage through work or your professional Association, you likely should consider supplemental coverage. Why? Because group disability benefits are offset by many other outside sources: workers’ compensation, State disability, Social Security Disability, pension, and salary continuance through the business. Many group plans have a provision to at least pay $100 per month because so much of the group benefit is integrated with other benefits. It is important to note that group benefits are not offset by individual disability coverage. Two additional reasons your group disability benefit is insufficient are that the benefit is taxable as income, and also subject to Social Security taxes. The 60-70% coverage melts away as described above – by the offsets and taxes – plus, it normally only covers base compensation (with limits) and not bonuses. All Well and Good – But How Do I Afford the Coverage? Disability coverage is not free, but it need not be a second house payment. By adjusting the “how much?” – “how soon?” – “how long?” questions appropriately, we have found ways to get affordable coverage for just about everyone. Another way to make coverage very affordable is to buy it through the business, so there is a deduction for the individual contract. It becomes taxable to the employee if you do it this way, but the insurance companies allow the insured to buy more benefit if it is going to be taxable. When factoring in the tax deduction and weighing it against the odds that 25% of Millennials will have a long-term disability, insureds are generally ahead if they run it through the business and deduct it. Additionally, a business can buy a contract to cover the pro-rata share of the business expenses if a key employee becomes disabled. These contracts typically pay after only a 30-day waiting period. While shorter in duration, having an additional $10,000 – $50,000/month coming into the business means that money is freed up to pay an owner, professional or key employee using a portion of that money for the first 12-24 months of a disability claim. The premium for this type of contract is deductible regardless of your business structure (e.g., sole proprietor, LLC, S Corporation, etc.) and the benefits are non-taxable. Since nearly half of all Americans do not have the $400 needed for an emergency expense, what percentage of Americans do you think could come up with the $1,000 – $2,000 – $5,000 – $25,000 per month to keep their household afloat?